VietNamNet Bridge – Explorers have discovered a special stalactite which changes its color continuously, in the Phong Nha-Ke Bang natural heritage site of Quang Binh province. The strange stalactite is in Huyen Khong cave, around 1,500m from the cage mouth. This stalactite changes its color very often, under lamplight. It was discovered during an exploration of the length of Phong Nha Cave, which finished on July 30. The stalactite is around 2m wide, over 5m high. Le Thanh Loi, director of the Phong Nha Culture and Ecological Tourist Center, said that this is the first time experts found such a stalactite. Let’s discover the strange stalactite and the landscapes on the path to Huyen Khong cave. click to beginMore than 150 foreign and Vietnamese scientists and managers discussed ways to preserve and promote the values of Halong Bay in the northern province of Quang Ninh on July 24. Addressing the seminar, Minister of Culture, Sports and Tourism Hoang Tuan Anh, pointed out that Halong Bay, a UNESCO World Natural Heritage, offers beautiful sightseeing and attracts millions of tourists, bringing in trillions of VND per year to the province. However, Halong is facing major challenges in its course of development, Anh said, suggesting that Quang Ninh province should focus on the quality and efficiency of tourism and take responsibility for preserving and promoting the values of this precious natural attraction. Secretary of the provincial Party Committee Tran Minh Chinh said Quang Ninh is integrating the development of Halong Bay tourism with its plan to boost sustainable economic growth and environmental protection. The provincial and national strategies for tourism development until 2020, with a vision towards 2030, define Halong Bay as a key tourism destination that will attract great numbers of both domestic and foreign visitors, he added. Chinh also emphasized that the province aims to develope a tourism trademark, explore for new tourist sites, promote environmental protection and raise public awareness of preserving Halong Bay. Katherine Muller-Matin, UNESCO Chief Representative in Vietnam, said that the State and the private sector should join efforts to protect and advertise Halong Bay on a national and international scale. According to reports from Quang Ninh province, Halong Bay receives an average of 2.5 million visitors each year, including one million foreigners. In recent years, Halong Bay and the surrounding areas have recently attracted over 40 foreign investment projects with total capital of more than US$1 billion. 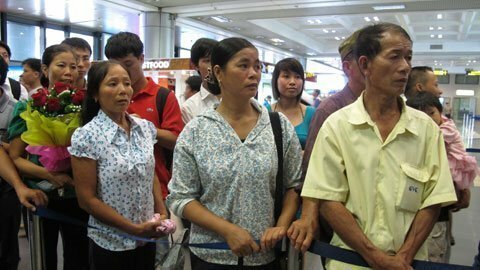 One hour before the sailors’ aircraft landed at the Noi Bai Airport, their relatives and correspondents waited for them at the terminal. 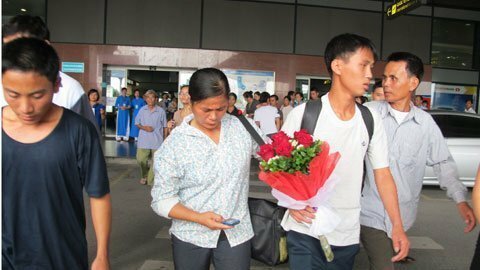 Holding a bunch of flowers, Mr. Luu Dinh Thu, sailor Luu Dinh Hung’s father, said that he and his family were very happy when they were informed that Somali pirates had released his son. 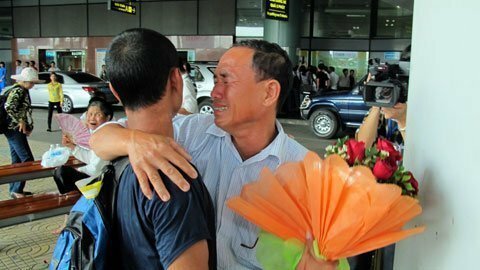 His family took a bus to Hanoi on July 23 to welcome his son. “The last conversation I made with him (sailor Hung) was on the afternoon of July 23. He said that all sailors were healthy and very happy because they would return home soon,” Thu said. Head of the Overseas Labor Management Agency of the Ministry of Labor, War Invalids and Social Welfare, Mr. Nguyen Xuan Tao, said sailors would have returned home in March but the pirates handed over them to another group of pirates, resulted in longer time for negotiation. Tao said employers would give each sailor VND1 million ($50) as traveling expenses to return home. 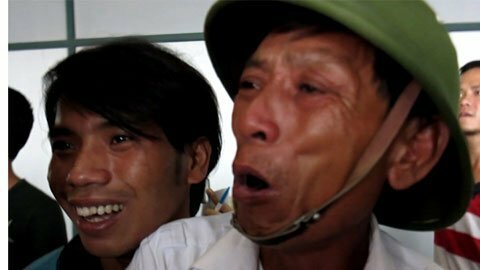 Ten of the 12 sailors come from the central province of Nghe An and two from the central province of Ha Tinh. All sailors and their relatives cried when they saw each other after years. All sailors were very thin and tanned. “I will never forget my days seized by the pirates. 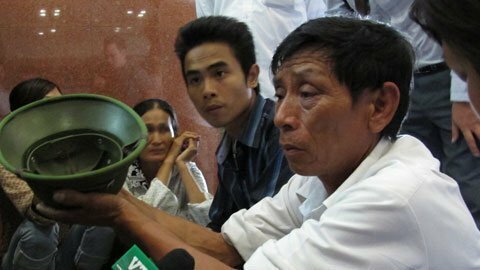 We were caged and were not allowed to have baths…,” said sailor Nguyen Van Hai, 20. Hai said his ship was caught by the pirates in Somali waters. They used the ship as bait to rob other vessels. Sailors had to work very hard for the pirates. Sometimes, the pirates forced them to call their families to ask for ransom. After nearly one year of living in a boat, the pirates took the sailors into a forest, where they were put into cages like animals. They were fed with rice and water, twice a day. All sailors lost at least 10kg in weight. Hai said he had left home for 32 months. “Perhaps my girlfriend has got married,” he said. Sailors said that they were afraid of going into the sea again. On December 25, 2010, Taiwan’s FV Shiuh Fu No.1 ship, with 12 Vietnamese and 14 Chinese sailors on board, was seized by Somali pirates. In 18 months, families of sailors occasionally received sailors’ phone calls from Somalia. They asked their families to pay ransom to not have their arms or legs cut off by the pirates. On July 17, 2012, the ship and sailors were released.